Clean eating is a fad diet based on the belief that eating whole foods in their most natural state and avoiding processed foods such as refined sugar offers certain health benefits. Variations on the clean eating diet may also exclude gluten, grains, and dairy products and advocate the consumption of raw food. The idea of "clean eating" has been criticized as lacking in scientific evidence and potentially posing health risks. The clean eating concept has been associated in the media with Ella Mills, Natasha Corrett, and the Hemsley sisters; although by 2016 Mills and the Hemsley sisters had distanced themselves from the phrase and said they never used it. The idea of clean eating has been criticized as lacking scientific evidence for its claims, and in extreme cases posing health risks by cutting whole food groups out of the diet. It has also been claimed that processed foods have been modified to prevent diseases and therefore have some health benefits (in the form of food safety) over a clean eating diet. Additional criticisms have said various diseases are linked to clean eating, such as osteoporosis and "orthorexia nervosa". Other health risks associated with this diet include food poisoning and diseases from parasites. 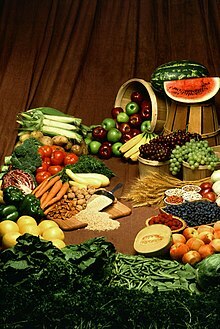 Orthorexia nervosa is a supposed condition where someone is obsessed with healthy eating to the point where it results in mental and physical health issues. Someone with orthorexia nervosa may suffer from "vitamin and mineral imbalances"obsessive-compulsive disorder, and could show signs of malnutrition or anorexia from a clean eating diet that lacks a variety of food sources or provides enough food. ^ Tandoh, Ruby (23 January 2017). "Bad fad – Ruby Tandoh on how clean eating turned toxic". The Guardian. ISSN 0261-3077. Retrieved 10 March 2019. ^ Wilson, Bee (11 August 2017). "Why we fell for clean eating". The Guardian. ISSN 0261-3077. Retrieved 10 March 2019. ^ "'Clean eating': How good is it for you?". Bbc.co.uk. Retrieved 1 July 2017. ^ "Clean eating". BBC Good Food. 24 July 2015. Retrieved 1 July 2017. ^ "What Is Clean Eating - How to Eat Clean". Fitness Magazine. Retrieved 1 July 2017. ^ "Clean Eating: The Dirty Truth: Is Clean Eating the Best Approach to Better Health?". Cbc.ca. Retrieved 1 July 2017. ^ Niven, Lisa (17 January 2017). "What is Clean Eating, Anyway? | British Vogue". Vogue.co.uk. Retrieved 1 July 2017. ^ "Bad fad – Ruby Tandoh on how clean eating turned toxic | Life and style". The Guardian. 13 December 2016. Retrieved 27 July 2017. ^ Fjellström, Christina Maria. "Natural Foods". Encyclopedia of Food and Culture. Gale Virtual Reference Library. Retrieved 13 March 2018. ^ Frey, Rebecca J. and Megan Porter. "Whole Foods Vs. Processed Foods". The Gale Encyclopedia of Alternative Medicine. Gale Virtual Reference Library. Retrieved 13 March 2018. ^ a b c "Orthorexia". National Eating Disorders Association. Retrieved 14 March 2018. ^ a b Davidson, Tish. "Raw Foods Diet". The Gale Encyclopedia of Alternative Medicine. Gale Virtual Reference Library. Retrieved 14 March 2018.